April 4. The date of MLK’s assassination returns – as it always does to haunt us. April 4th, 1968 remains a guilty shadow lingering over American history. King is honored with a national holiday because he is an American hero. 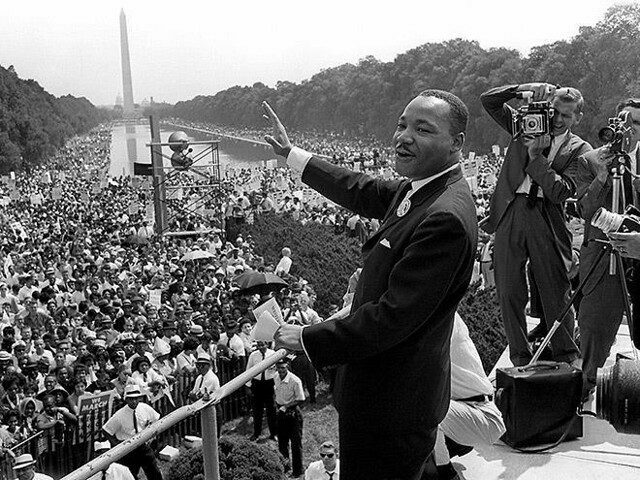 He preached civil rights and nonviolence, leading a movement that helped liberate us from the scourge of segregation. By leading the way, helping us to appreciate the importance of dismantling racism and reducing poverty, Dr. King made ours a better society. Yet in the wake of pointless bloodshed that continues worldwide, we might do well to remember that in spite of his humanitarianism, Dr. King himself died a victim of gun violence. King was guiltless, yet he was a victim of gun violence — like the youth who were injured and the lives lost in Columbine, in Parkland, or in the numerous school shootings that erupted in the last year, on average of a school shooting every eight days in 2018. He was a victim of gun violence – like the 58 killed, and the 489 wounded in the 2017 shooting massacre at the country music festival in Las Vegas, Nevada. He was a victim of racism, vitriol, and a weapon – like the 11 victims killed in a gun attack on a synagogue in Pittsburgh, and the 49 Muslims dead following the result gun assault in New Zealand. The suspect in the Pittsburgh massacre, Robert Bowers, who used four assault weapons, posted online that he “wanted to kill Jews.” Similarly, Martin Luther King’s assassin, James Earl Ray, was a boastful racist. Ray had an extensive criminal record, which should have precluded him from owning a gun, yet according to the report by the Senate fact-finding committee Ray purchased a rifle the week before he killed King, driving cross-country to Memphis, barely arriving by April 4th. If Ray had been subject to a waiting period ( which have been statistically shown to reduce homicides and suicides) would King still be alive? Am I saying all this to suggest I believe that today Martin Luther King would have been an advocate for gun control measures? Yes. I do. I believe his feelings would be tempered by a respect for second amendment rights, an awareness of both how weapons can protect safety, and how they wreak havoc. King knew all about living in fear of threats to himself, his wife, and his children. You may have read that at one point in his life King himself owned a gun. This is true. In 1956, a year after leading the Birmingham Bus Boycott, King, then 26, was targeted by the KKK. His home was bombed. He applied for a permit to carry a concealed weapon. However, that same year, another Civil Rights leader, Bayard Rustin, visited King. The pair stayed up late into the night discussing the principles of nonviolence, which King finally fully embraced. King henceforth never carried a gun, eschewed all weapons, made a pilgrimage to India and studied satyagraha, a policy of passive resistance advocated by Mahatma Gandhi. King’s final years until the end of his life on April 4th, 1968, were characterized by increasingly strident pleas to America to turn away from war. “The ultimate weakness of violence is that it is a descending spiral, begetting the very thing it seeks to destroy. Instead of diminishing evil, it multiplies it,” King preached. I believe King would have said the same words today about today’s gun violence debate. King had experience “on both sides of the coin.” As such, I believe he would have reached a position mirroring gun control advocates who accept the right of responsible citizens to own guns, yet support interventions that reduce the numbers of guns on the streets, and ban lethal semi-automatics. I believe he would have supported waiting periods that encourage calmness and reflection before purchasing a gun– just as he often successfully used nonviolent interventions and loving words to “cool down” his opponents and de-escalate heated situations. If King was still with us, I believe he would preach with all his classic oratorical skills that a society where a school shooting erupts every eight days isn’t a fulfillment of his dream. This is no one’s Promised Land. In 2017, more 5-18 years olds were killed by guns than on-duty police officers or US soldiers globally. Breaking the numbers down, in 2017, 144 police officers died in the line of duty, and approximately 1,000 active military died. But 2,462 school-age children were killed by firearms. Black children have accounted for 41 percent of schoolchildren killed in the last ten years. It’s statistics like the above that leave me with no doubt Martin Luther King would have been at the forefront of the movement to stop gun violence, enact better laws, and liberate the nation from the reign of futile loss and terror. Darryl Lorenzo Wellington is a poet and a Communications Fellow at Community Change. Bio: Darryl worked as a parking lot attendant in Savannah, Ga, before switching careers in his late 30’s. Since becoming a freelance writer, he has covered post-Katrina New Orleans, poverty exploitation in the plasma industry, and the Charleston massacre. He lives in Santa Fe, New Mexico. Click here to read some of Darryl’s work. Happy 50th Birthday, to the Center for Community Change!